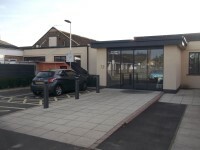 The car park is located at the rear of the hospital next to the Tower Block. 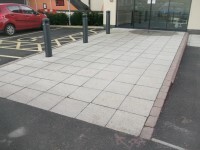 The dimensions of the designated Blue Badge parking bay(s) surveyed are 350cm x 615cm (11ft 6in x 20ft 2in). 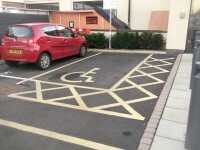 The nearest designated Blue Badge parking bay is approximately 10m (10yd 2ft) from the entrance. 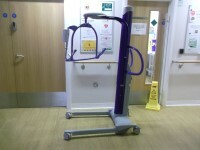 You are on Getting To (St Barnabas Lincolnshire Hospice - Grantham Hospital In-patient Unit). Skip to the next section. 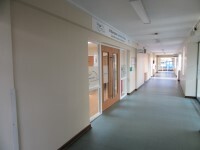 St Barnabas Lincolnshire Hospice - Grantham Hospital In-patient Unit is/are located on F corridor. 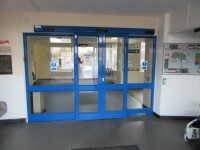 Access to St Barnabas Lincolnshire Hospice - Grantham Hospital In-patient Unit is via the Corridor E entrance. Enter via the corridor E entrance and turn right. 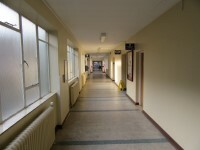 Continue ahead and the St Barnabas Lincolnshire Hospice is on the left of the corridor. 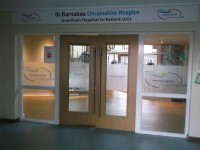 There is step free access to St Barnabas Lincolnshire Hospice - Grantham Hospital In-patient Unit. 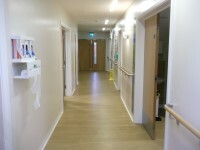 St Barnabas Lincolnshire Hospice - Grantham Hospital In-patient Unit is approximately 55m from the corridor E entrance. 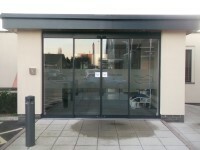 You are on Outside Access (External Entrance). Skip to the next section. 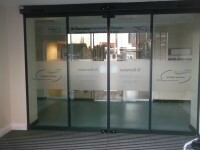 This information is for the entrance located at the rear of the hospital. 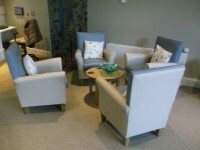 The waiting room / area is approximately 8m from the ward entrance. 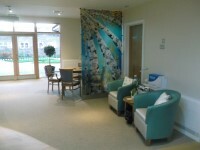 This is a/an hospice ward. 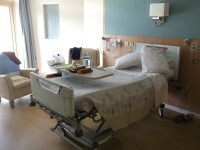 There is/are 6 bed(s) on this ward in total. 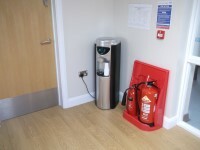 The height of the ward reception desk is 120cm. The height of the lowered section of the desk is 76cm. There is not a/are not chair(s) with armrests available within the relatives room. 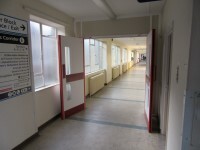 Standard toilet facilities for visitors are located in corridor E of the main hospital building. You are on Washroom (Side Room). Skip to the next section. The washroom door(s) open(s) sliding. 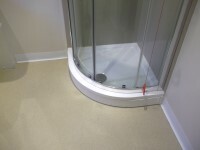 The dimensions of the washroom are 217cm x 247cm (7ft 1in x 8ft 1in). The height of the wash basin is 68cm. 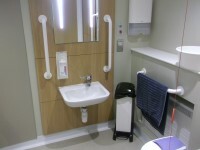 The colour contrast between the wall-mounted grab rails to the left of the toilet and wall is fair. You are on Washroom (Relatives Room). Skip to the next section. 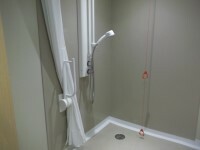 The dimensions of the washroom are 232cm x 172cm (7ft 7in x 5ft 8in). The height of the wash basin is 78cm. The height of the soap dispenser is 140cm. The lateral transfer space is 105cm. The height of the shower head is 230cm (7ft 7in). 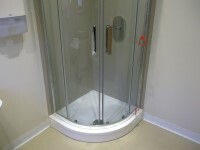 The shower cubicle is accessed via a deep step. 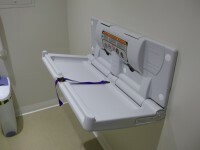 The colour contrast between the wall-mounted grab rails to the right of the toilet and wall is fair. You are on Accessible Toilet (Visitors). Skip to the next section. 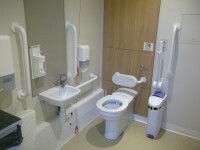 This accessible toilet is located to the right on entering the ward. 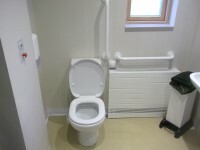 This accessible toilet is approximately 4m (4yd 1ft) from the ward entrance. 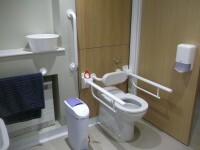 The dimensions of the accessible toilet are 175cm x 225cm (5ft 9in x 7ft 5in). 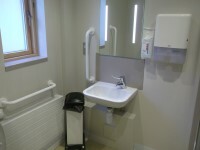 The height of the soap dispenser is 118cm.